A homeless man in Center City Philadelphia. In the midst of a multi-year, multimillion dollar project that will change Suburban Station with upgraded shops and restaurants, a different renovation is occurring much sooner: a service center for Philadelphia’s homeless. The station by City Hall is often crowded with Philadelphia's homeless population, a fact which some locals used to critique the station’s proposed shop and dining upgrades slated in the years to come. A new development spearheaded by SEPTA will develop a service center for the homeless in a heretofore unused corridor within Suburban Station. SEPTA is, in fact, the first transit authority in the country to undertake this approach homelessness in a city, which could be a game-changing development across the nation. The service center, which is named The Hub of Hope, is a joint initiative between the City of Philadelphia, SEPTA, and Project HOME, an organization dedicated to combating homelessness. The center is estimated at $1.4 million and will offer homeless a place to shower, wash clothes, and gain access to housing and medical or psychiatric treatment services. The center will be open seven days a week, from 7 a.m. to 7 p.m. on weekdays and during daytime hours on weekends when it will also serve meals. 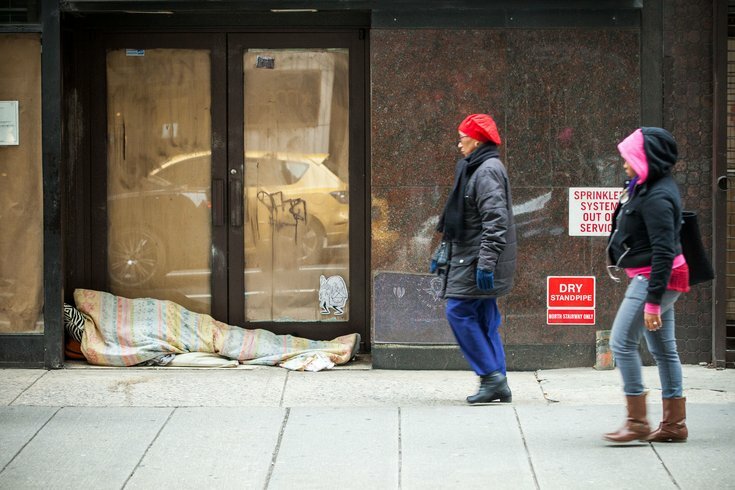 Despite Philadelphia's high poverty rate, the city actually has the lowest street homelessness rate among big cities as different initiatives seek to combat the number of people forced to live on the street. Recently Mayor Jim Kenney provided $1 million to expand the amount of Permanent Supportive Housing units in the city. Though the growing opioid epidemic has pushed some people to the street in Philadelphia, homelessness overall has decreased from 6,200 to 5,700 between 2016 and 2017. Officials aren't worried the center will draw more homeless to the station; it is already a draw for those on the streets, as it's an indoor facility open 24 hours with access to basic amenities. Project HOME will be holding a fundraiser next month to raise funds for the facility’s furniture and appliances. Hub of Hope will reportedly be open 12 hours every weekday with some weekend hours, and meal services Friday through Sunday.